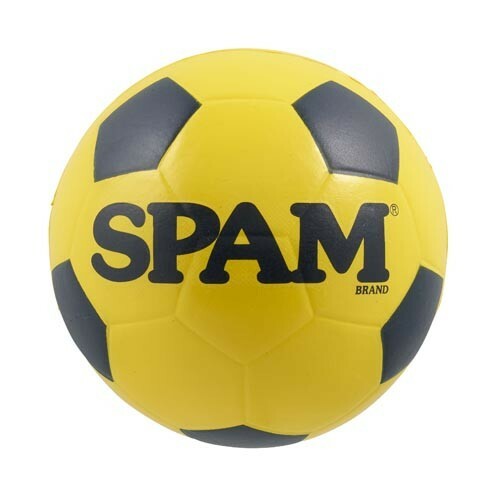 Yellow and blue foam soccer ball with SPAM® Brand imprint. Great for soccer fans of all ages. 19" diameter.